Creamy milk chocolate and chopped roasted peanuts are the stars of this delicious treat! Boyer Candy Company bark candy is hands down the cure for an absence of deliciousness in your life. 8oz. of our creamy milk chocolate and combine it with the most delicious and masterfully roasted peanuts to create a flavor concoction unlike anything else. 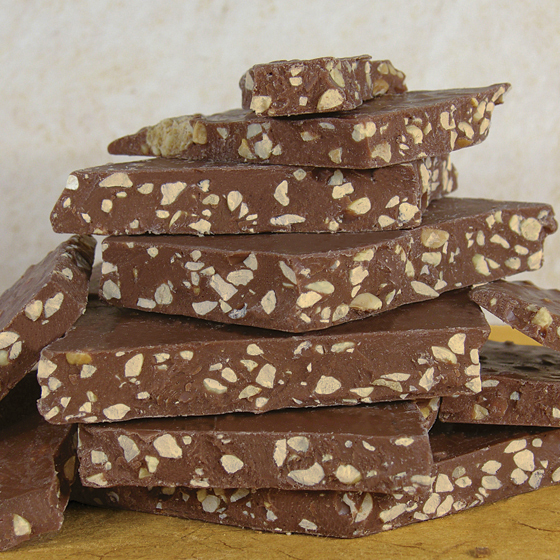 Sink your teeth into Boyer Candy Company candy bark today!